Muziekuitgeverij Iduna 0115 28 pp. 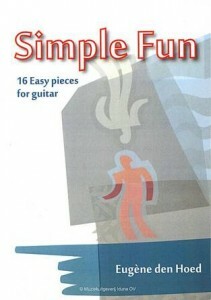 guitar music. 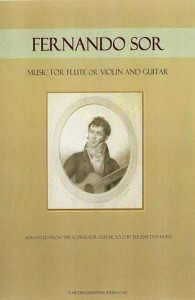 Unlike many of his peers, he is completely successful writing very easy material (which is actually surprisingly difficult), intermediate pieces, and very difficult ones. Remarkably, I never feel that he sacrifices his musical ethics writing easy material, and he always retains an individual style that is complet-ly recognizable from the outset. 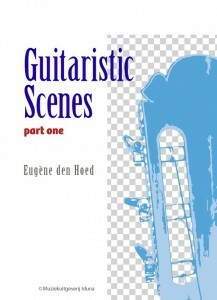 This latest book consists of ten moderately difficult pieces subtitled “Impressions for Guitar in Different Styles.” It’s difficult to describe his way of writing. It often uses almost modal harmonies, with a penchant for open strings mixed in very naturally with fretted notes in a way that makes it slightly unusual, but perfectly acceptable and pleasant harmonically speaking. You never really know exactly where the harmonies are going to land, and the surprise factor is often quite high. So, “Rondo” is marked con moto in a natural mix of three and four beats in a bar, with plenty of hammer-0ns in an almost folk-like way. Then there is “Another Point of View,” in 8/8—grouped usually, but not always in a 3 +2 + 3 way—marked animato, which really keeps you guessing. There’s a brooding andante titled “Maquiaria” and the perhaps jazz-influenced “In a Mellow Taste,” plus many more. This man’s music is unfailingly first-rate, exceedingly playable, always entertaining, and gets your musical muscles working on high alert throughout. If you’re not familiar with him, take my word for it and give him a try—you won’t be disappointed! An old favorite that deserves a revival. Karl Scheit (1909-1993) often found himself in the firing line. In the May 1955 edition of BMG, Jack Duarte (as he was then known) published a review of Scheit’s London recital from the March of that year. Even by Duarte’s outspoken standards, the criticism was unusually blistering. Over the next two decades, as Scheit’s published editions became ever more abundant, there was much harrumphing over such eccentricities as his penchant for adding slurs to transcriptions of 16th-century lute music. (I referred to this myself as recently as the October 2014 Classical Guitar.) Then there were Scheit’s fingerings, which gave every impression of having been devised by someone unfamiliar with the workings of the human hand. But let it also be noted that Scheit’s arrangement of the Visée’s Suite in D minor, which clearly formed the unacknowledged basis for the 1966 Bream recording, is dated 1944. 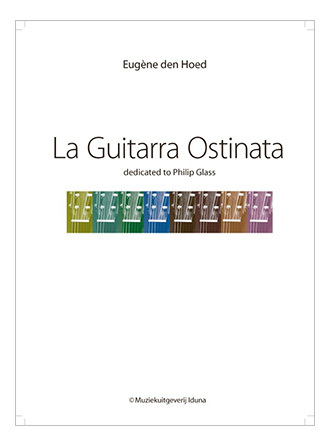 This almost places Scheit on a chronological par with Emilio Pujol as a pioneering figure in the rediscovery of the modern guitar’s hitherto neglected forebears. Scheit is again denied a credit in this curiously bound publication dating back to 2011 since the very fact that Eugene den Hoed uses Scheit’s revised order of movements and, like Scheit, skips the “Passacaille” altogether, leaves no doubt as to his source. 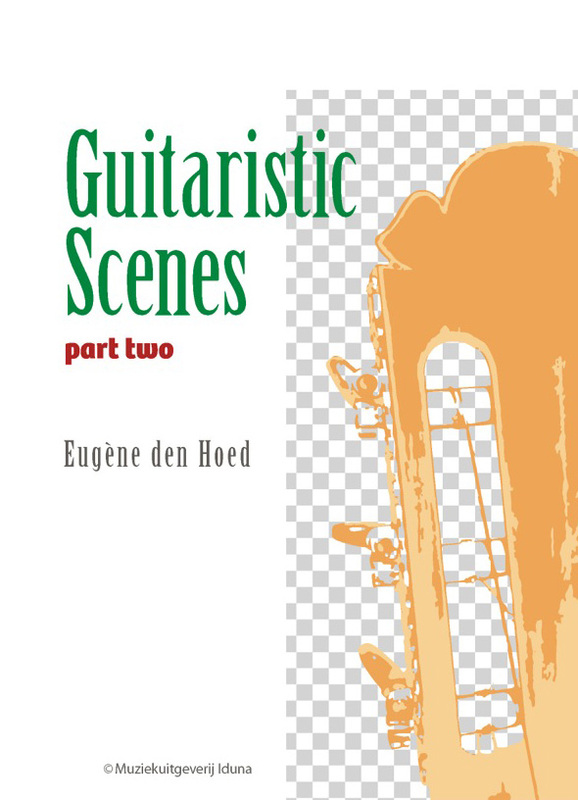 Essentially, what this Netherlands-based guitarist/arranger provides is jazzed-up Scheit, followed by his own highly elaborate embellishments written out in full in the repeats. If memory serves, Leo Brouwer performed a similarly ornate Suite in D minor during a BBC broadcast in the late ’70s. 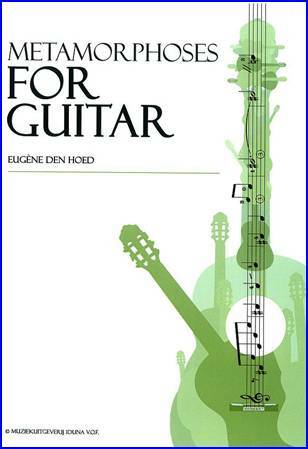 Eugene den Hoed’s efforts succeed, in that his trills and twiddles, although often tricky, are always playable and, unlike Scheit, his fingerings actually work. For reasons known only to him, he adds Italian tempo markings (but not metronome speeds) to all the movements, including the “Prelude.” This is an offense of which Scheit was sometimes guilty but, ironically, not in Suite in D minor. A pleasingly individualistic take on an old favorite that deserves a revival. 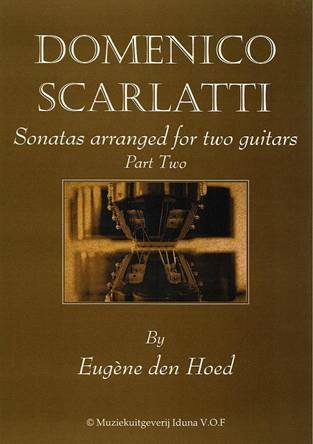 Back in May 2014, I reviewed a book of Den Hoed’s two-guitar arrangements of some Scarlatti sonatas, and here is Part Two, with a further eight from the 550. As with the previous book, it is a score-on-ly edition, and if the book has a fault it is that there are page turns in every piece. 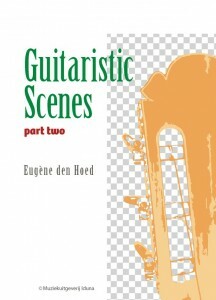 But that is the only caveat, for as with all this Dutch writer’s work, one finds great music beautifully arranged in a very guitaristic manner, so nothing feels arti-ficial, but rather natural as if originally written for two guitars. For the scholars amongst you the Longo numbers of the eight are 15,103,187,188,343,388,413 and 428. 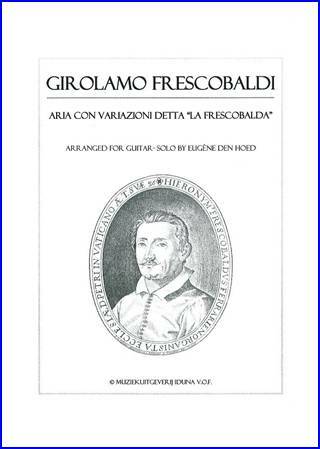 It is a source of amazement to me how often the Baroque period’s music fits so well on guitars, and there have been many previous instances of publications also cherry picking from Scarlatti’s vast oeuvre. 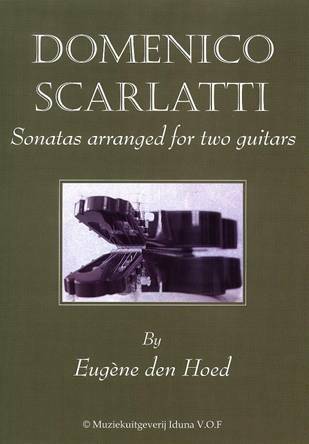 This latest book is no exception as all eight feel like guitar works and fit very well under the fingers and exhibit a wide contrast in style and feel; from the movingly harmonised L187 an Andante Cantabile (here in E minor) to the rip-roaring Vivace that is L188 (here in F major). It is churlish to pick out any individual pieces here, as they are all superbly transformed onto the two guitars; and yes, they are difficult to play with the right amount of speed and finesse but with more than a little effort are definitely worth it. Highly recommended. Muziekuitgeverij Iduna Iduna VOF. 10pp. 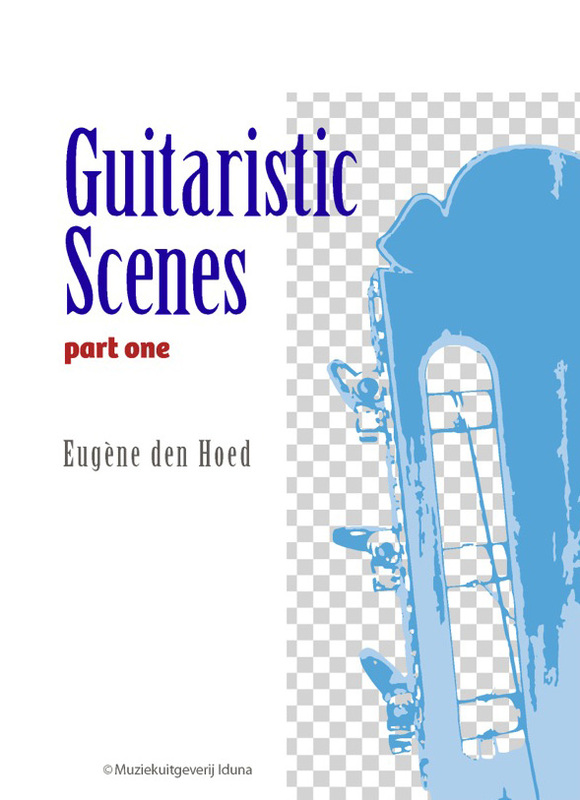 This little set is aimed right at Grades 2/3 and show of Eugene Den Hoed’s fine ability to write interesting music mostly in the first position. There are no tempo markings, as he prefers to leave that to the player’s own taste and technical abilities. The pieces themselves are varied, melodic, and often with a tinge of modernity, just to remind you that this is contemporary music. They are printed in increasing difficulty with the opening few pieces mostly in two or three voices at the most and the final two or three involving some chords and slightly more densely written harmonies. That said, they are all eminently suited to the pupil who wants to try something a little different but not too much so, and as such I can heartily recommend this fine book as definitely one to hunt out. 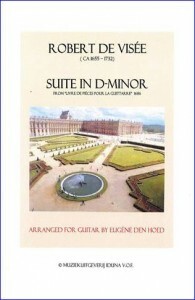 Arranged by Eugène den Hoed. The title is a little misleading in that it gives the impression that here is a collection of music originally for this instrumentation. 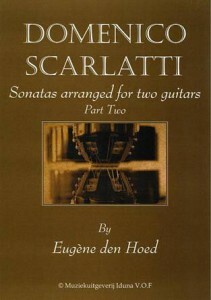 In fact all these pieces were originally guitar solos and have been arranged as duets by Eugène den Hoed.